As a not-quite-natural blonde, it’s important for me to keep my hair in as good condition as possible. I’m not going to lie – I pretty much abuse my hair on a daily basis, thanks to a routine which includes daily washes, straightening, and a habit of twirling my ends. Did I mention that I also bleach it? It’s not an ideal situation, and over the past few months, I’ve been trying to baby my poor ends as much as possible. 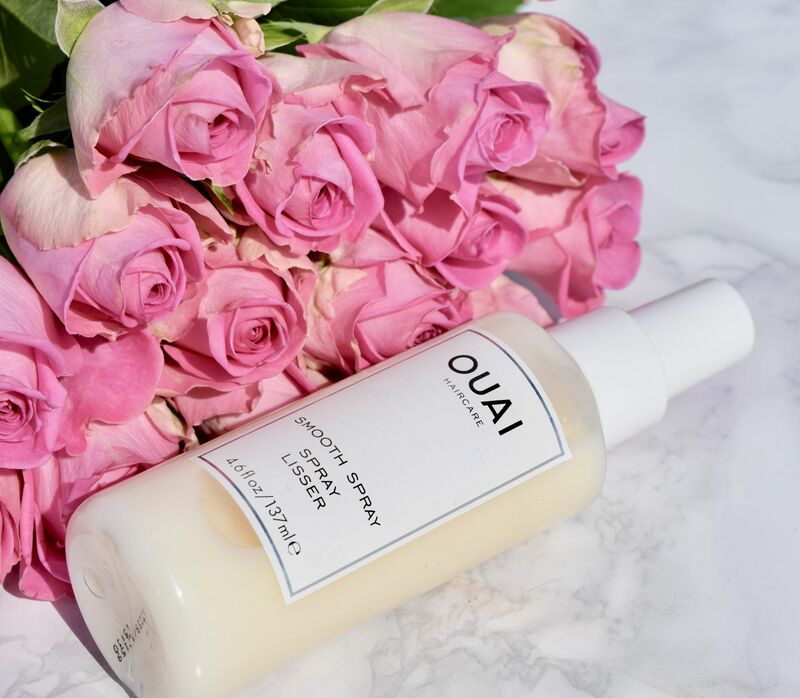 So it felt like perfect timing when Ouai’s Smooth Spray arrived. Described as an ultimate way to prep hair pre-styling, the formula might be lightweight, but it’s packed with great-for-hair ingredients. With an amino acid blend, Vitamin E and Hydrolyzed proteins, just mist the Smooth Spray onto damp ends pre-blow dry, and style as usual. 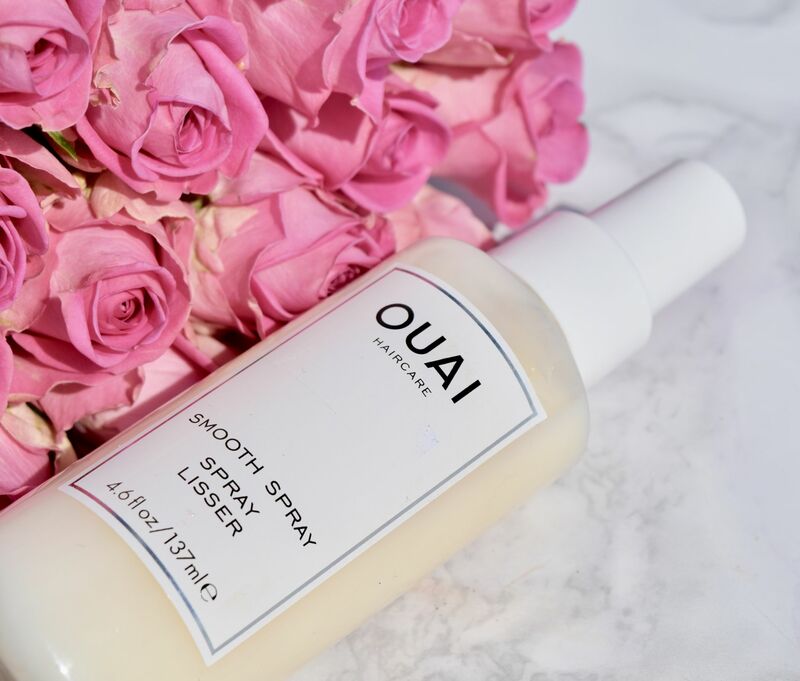 Unlike some other sprays I’ve tried, Ouai’s doesn’t leave hair feeling weighed down or weirdly sticky. Instead, ends are bouncy and shiny, and they feel wonderfully hydrated. 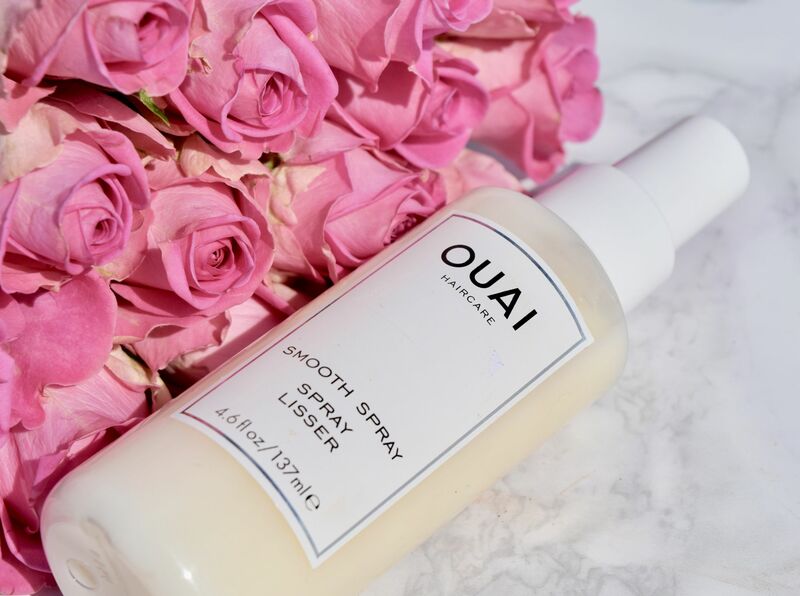 My hair isn’t prone to fuzziness or frizzing when using the Smooth Spray either – it stays straighter and sleeker, with the effect lasting right through until my next wash.